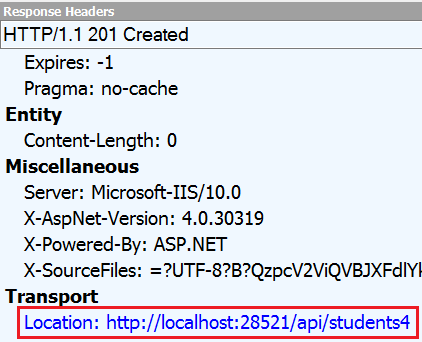 In this video we will discuss how to generate links using route names in ASP.NET Web API. 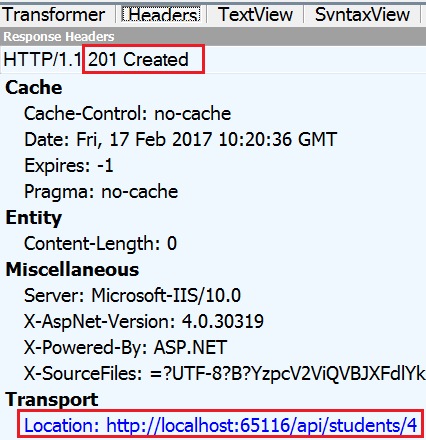 When a new item is created using the Post() method, along with status code 201 we also need to include the location i.e URI of the newly created item. To achieve this, change the implementation of the Post() method as shown below. At this point, issue a Post request using fiddler. Please note there is a forward slash (/) at the end of the URL to which we are issuing a POST request. Notice in the response header we have status code 201 Created and also the location i.e the URI of the newly created item. The link generation for the newly created item worked as expected because we have included a forward slash (/) in Fiddler when we issued the POST request. If we omit the forward slash at the end of the URI and issue the POST request, the link for the newly created item is not generated correctly. You might be thinking we can fix this issue by adding a forward slash in the POST() method as shown below. Please note we are appending a forward slash (/) to the RequestUri and then the ID of the student. We can very easily solve this issue of malformed URLs using Route Names. Every route in Web API has a name. We can use the route name to correctly generate the links. 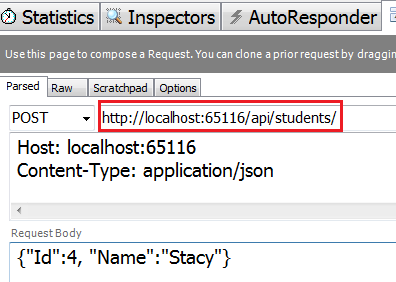 To specify a name for a route, set the Name property on the Route attribute. We can then use the Route name to generate the link as shown below. 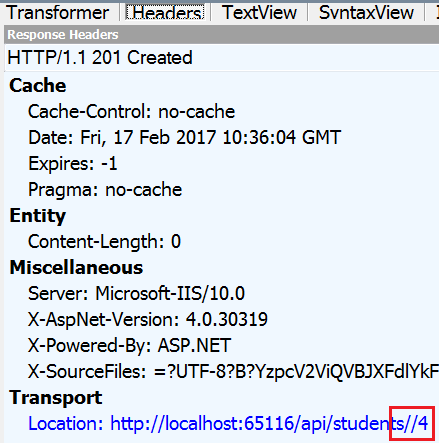 Please note we are using the route name ("GetStudentById"), to generate the link for the newly created item. At this point, the link generation for the newly created item works as expected irrespective of whether we have a forward slash (/) or not in Fiddler when issuing the POST request. First i got "405 Method Not Allowed" (Allow GET) error. When i add [Route("")] attribute at Post method, it works fine (VS 2017 & windows 10). Thanks for mentioning. I had the same issue in VS 2017.